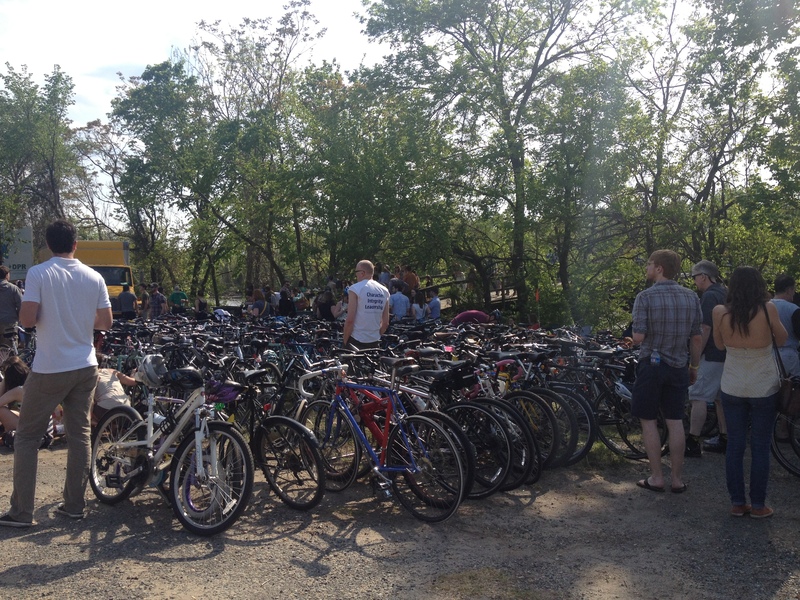 The festival attracted an environmentally conscious crowd. On Saturday I went to the 4th Annual Kingsman Island Bluegrass Festival with my sister, her boyfriend and my parents. 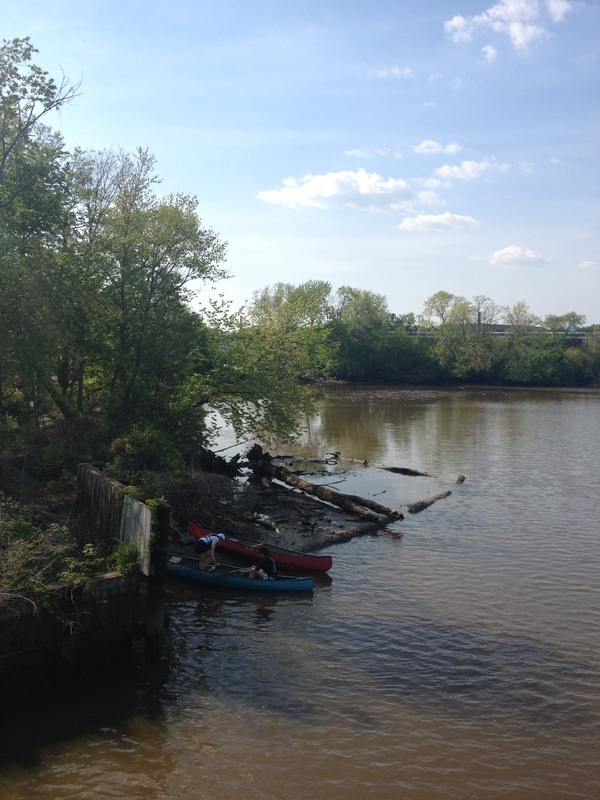 I’d never been to Kingsman Island nor did I know that it existed, but it’s a weird, swampy, muddy, little place on the Anacostia River by RFK Stadium. It feels very…wild. Like alligators could pop their heads up from the marshy swamp areas or like you’re in a Louisiana bayou or something. There are some short hiking trails that aren’t particularly well maintained, adding to the whole outback wilderness feel. It’s kind of cool to know a place like this exists in D.C. Anyway, although I went through a very intense bluegrass phase in my early twenties (I’ve gone through a lot of phases), I decided to attend this festival mostly because one of the featured acts was Bob Perilla’s Big Hillbilly Bluegrass. In my 28 years of life, all the Perillas I’ve met have hailed from one specific region of Boyaca, Colombia, so when my sister alerted me to the fact that a Perilla would be performing bluegrass, I had to go. My original intent was to ask Bob about his possible Colombian heritage after his set but this didn’t happen. So the mystery continued. However, I was unable to contain my curiosity so yesterday I e-mailed Bob to get answers once and for all. If there is a Colombian Bluegrass singer in the world, I need to know. Although when you think about it, it wouldn’t be so strange…in a way, bluegrass is kind of the American version of vallenato. Beautiful day for a music festival. I wasn’t expecting to hear back from Bob. My question was intrusive after all, but surprisingly, Bob got back to me in just a few minutes. It turns out that Bob has not met all that many Perillas either, but alas, he is not Colombian. However, his story is interesting nonetheless. He comes from a mostly coal mining family that immigrated to the U.S from Italy in the 1880s, but according to family legend, his family may have originally come from Spain. So possibly we are long-lost cousins after all. I must say I was impressed by Mr. Bob Perilla’s prompt and warm response. Maybe I can meet Bob in real life one day. Aside from the Bob Perilla investigation, something else that piqued my interest was that this particular festival was full of hipsters and hippies. The hipsters were to be expected…it seems like they are everywhere these days. And while I am perfectly aware that D.C is home to a sizeable population of hipsters, I wasn’t aware that any actual hippies (or hippie wannabees) lived in D.C. This crowd went way past fedoras, flannel and ridiculous dark-rimmed glasses. I’m talking about white dudes with dreadlocks, women who don’t shave their armpits and old guys with long hair and cut off shorts. So my question is: Where do they hide? Do they just come out to play on the weekend? Did they come down from the mountains? Was this bluegrass concert an excuse for hipsters to take it to the next level and don their best hippie costumes? 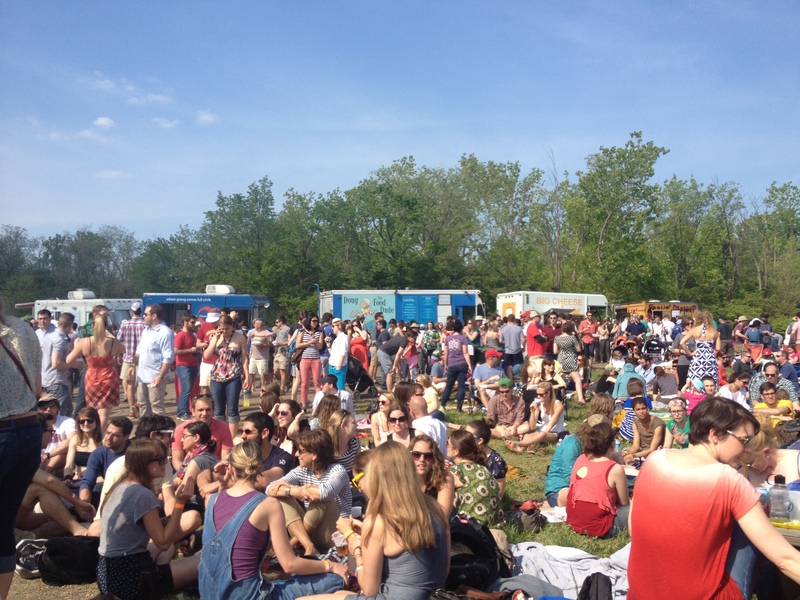 Or is there a secret underground hippie movement in D.C that comes out whenever there’s a bluegrass festival? My sister said that if in fact, they are hippies, they must clean up very well during the week because you don’t see these people on the metro. And you know hippies would be all about public transportation. Canoes are available for rental on Kingman Island. I hope to investigate this hipster/hippie issue sometime in the near future. ‹ I Lost my Car…Again. Thanks! I try my best. Thanks Elsie! You’ll have to join us next one.